Our student improvement programs give children opportunities for skilled practice and instruction in reading, math, writing, and social skills through exposure to a variety of arts. We believe these areas are critical to success in public school, private school and adulthood. The Lily Missions Center is where children, youth and families can come for support, guidance and direction. The resources that are the soul of the Lily Missions Center are assisting youth, adults and families see the present and future possibilities for their lives. Our core purpose is to enhance the quality of life for youth, adults, and families through faith based understanding of the world around us. 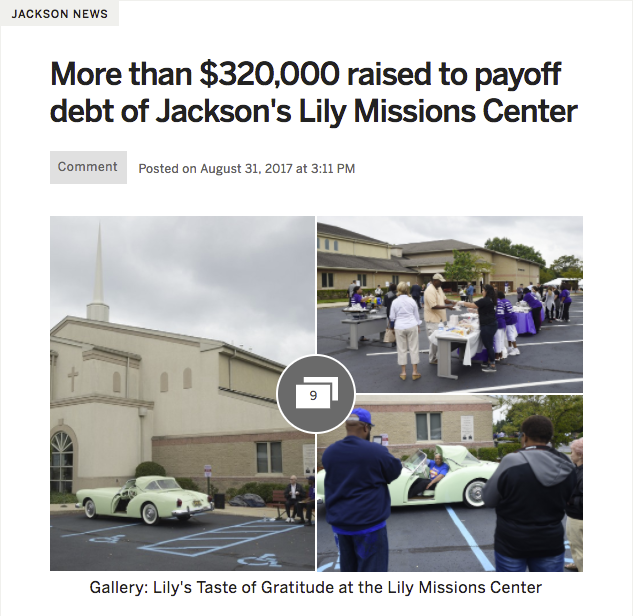 Lily Missions Center (LMC) is a faith-based, grassroots organization. Much of the passion and energy that drives the vision for the Center comes from the experience and belief that the faith-based approach to youth development will improve outcomes for “at risk” youth that the traditional human service system may have failed. Lily Missions Center welcomes and serves individuals regardless of their religious belief or affiliation. The LMC facility has the capability to provide a wide range of programming for youth and families. There are four classrooms, a large social/activity area, a fully functioning kitchen, a large gymnasium with a stage, and a fully equipped computer lab. Our facility is due in large part to generous church and community members who donated seed money for the project. Our Donors are listed here.